AverLogic's Full HD (High-Definition) FIFO Memory AL460A-PBF available through Glyn High-Tech Distribution is ready to sample. The AL460A-PBF consists of 128Mbit of memory density, and is configured as 8,192K x 16 bits FIFO, the optimised access scheme offers maximum R/W operating speed up to 150 MHz. 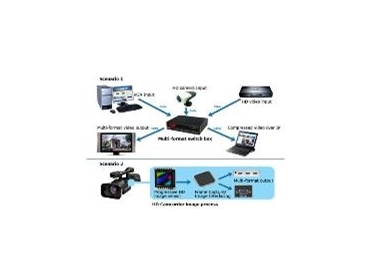 The FIFO offers a simple and easy-to-use user interface supporting usage in a wide range of applications, such as multimedia systems, video capture systems, and various video data buffering applications.